Guys. I’ve improved my deep dish pizza making skills. After much research and trial and error I have learned how to create the perfect restaurant-style deep dish. The secret is in the crust. 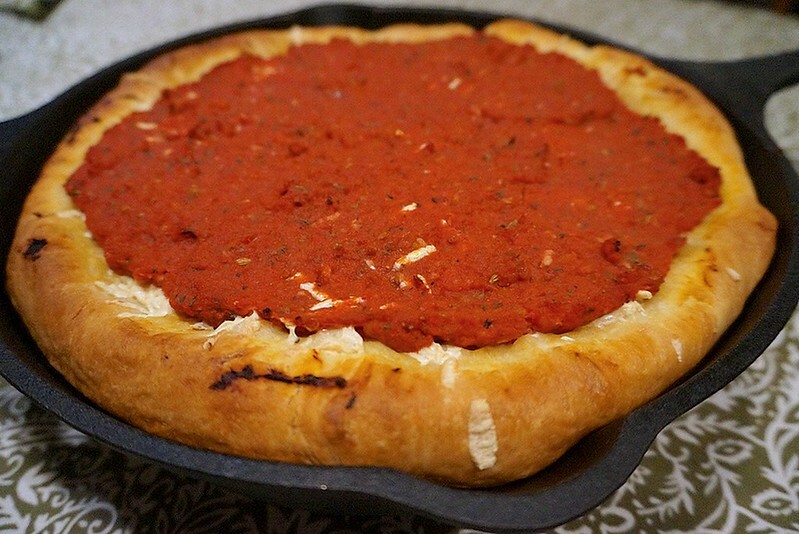 Since perfecting this deep dish pizza dough recipe, I’ve probably made it once a week. Excessive, I know, but, fair warning–it’s that good. And super duper easy to make! And the cleanup in a breeze! You’re left with plenty of time to clean or prepare side dishes while it bakes! 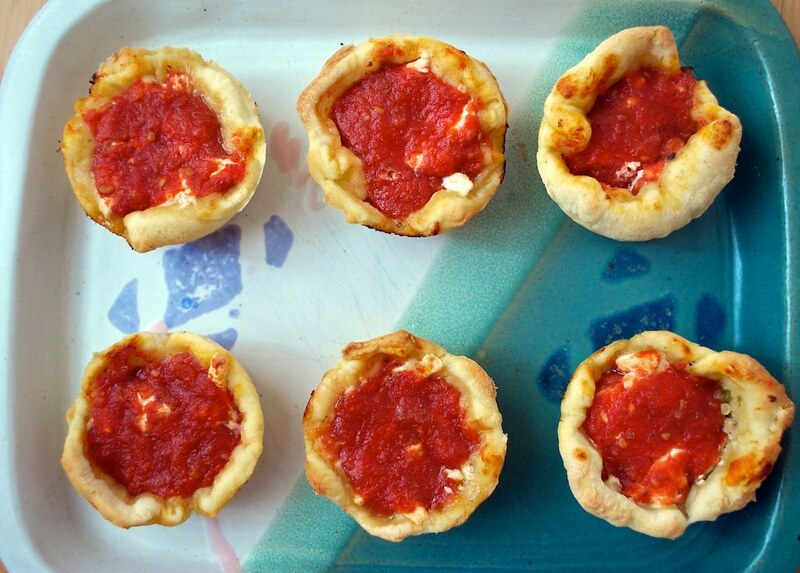 Last week, I made these mini-deep dish pizzas for a chicago-themed dinner party. In the chicago deep dish tradition, these little guys were stuffed with cheese and filling and topped with a layer of tomato sauce. They were a huge hit, with people trying to take more than their share, getting into epic battles over the last ones… Okay, I exaggerate, but they really were popular! And I can see why. We had stuffed them with a homemade giardiniera, which is a very popular condiment in Chicago.